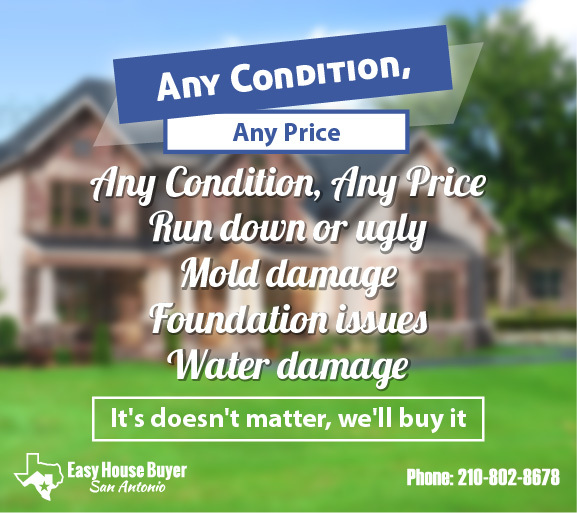 Can I Sell My San Antonio House Quickly If It Has Black Mold? Mold causes many different types of damage to a home that can lower the chances of a sale. If you are looking to sell a home, then you must take stock of the effects that mold damage can cause. You then need a strategy to fix those things so that you do not have to explain anything during the walk through. Start immediately. Fixing mold damage can take a few months, so you want to get started well before you put your house on the market. People may begin to associate your home with mold if you list it with even the slightest contamination, and word spreads fast. Have an informal look around. You want to see where the mold is coming from. In most cases, mold is indicative of a larger problem in the infrastructure of a house. For instance, mold can come from water leakage and bad insulation. Note the root causes of your mold. If you see wet spots in the ceiling or you smell rancid air in certain rooms, then you know that these structural imperfections may be at fault. You will be able to better direct professionals if you locate the big problems first, plus you will save money on their hourly fees. Make the repairs that you can make. If you can replace filters that are moldy by yourself, do so. There are also many mold cleaning kits that you can buy over the counter to get rid of smaller mold accumulations that are easily visible. Begin pricing out professional mold cleaning companies. Once you have identified certain problems, you can begin asking professional home remediation companies what they will charge to fix those problems. Watch for other mold infestations while you make repairs. As you make the repairs you can make, be on the lookout for other mold that you can direct a professional to clean or clean yourself. Look behind walls, in ceilings and in damp corners. Have a mold inspection done. Mold inspections are not cheap, but there are ways to incorporate this expense into the selling price of your home. You will need the documentation from these inspections for potential buyers. Get a home remediation done. A home remediation is a two part, deep chemical treatment that will kill the deepest infestations of mold in your home. The first leg of treatment gets rid of your current mold. The second step creates a barrier of protection that keeps mold from coming back. All reputable home remediation companies will provide a warranty to guarantee that your home will remain mold-free. Make sure that all warranties are transferable. If a home remediation warranty is transferable, it becomes a legitimate improvement on the home. You can add this improvement into the price of the home, plus a premium for your efforts. If you follow the steps above, your home should sell with no problems. Make sure that you do not skip any steps so that you can save money and clean your home thoroughly. Mold can mean the entire difference between selling your home and watching it linger on the market. Do not put yourself behind the eight ball; take action against mold now.